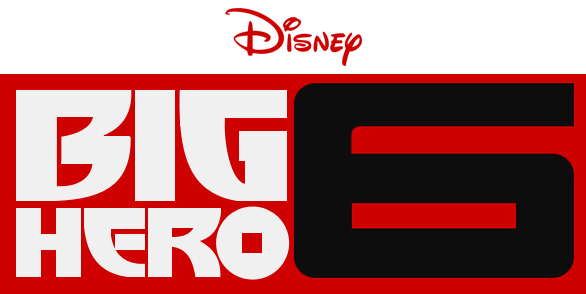 On November 7, Disney fans will get to meet Hiro, Baymax, and all their super friends in the fast-paced world of San Fransokyo, but one lucky D23 Member and their guest will get to see Big Hero 6even sooner! One lucky winner will win tickets for him or herself and guest to attend the red- carpet premiere of Big Hero Six on November 4, 2014, in Hollywood, California (accommodations and/or transportation between winner’s home and the premiere not included)! Not only will the winner get to be among the first to see the movie, but they’ll get to see the stars of the film arrive in style and walk the red carpet. Plus, the prize pack includes a full set of seven Big Hero 6 action figures from Disney Store! With all the heart and humor audiences expect from Walt Disney Animation Studios, Big Hero 6 is an action-packed comedy-adventure about robotics prodigy Hiro Hamada, who learns to harness his genius—thanks to his brilliant brother Tadashi and their like-minded friends: adrenaline junkie Go Go Tamago, neatnik Wasabi, chemistry whiz Honey Lemon and fanboy Fred. When a devastating turn of events catapults them into the midst of a dangerous plot unfolding in the streets of San Fransokyo, Hiro turns to his closest companion—a robot named Baymax—and transforms the group into a band of high-tech heroes determined to solve the mystery. Inspired by the Marvel comics of the same name, and featuring comic-book style action, Big Hero 6 is directed by Don Hall (Winnie the Pooh) and Chris Williams (Bolt), and produced by Roy Conli (Tangled). NOTE: NO PURCHASE NECESSARY. Sweepstakes began on 8/21/14 and ends at 10 a.m. PT on 9/5/14. Open to all D23 Members, in good standing, in the 50 U.S. including DC, ages 18 and older. Only one entry allowed per D23 Member. There is only one prize available to be won. Winner must be able to attend the premiere taking place on November 4, 2014. Prize does not include accommodations or transportation between winner’s home and the premiere. Winner will be required to provide their D23 Membership number when accepting their prize. Click here for official rules, including full entry requirements and prize limitations. Void where prohibited.